Community & Recreation Center Update. Keep up with our progress, news and events by reading the Jackson’s Grant Gazette Issue 3. The Jackson’s Grant Community & Recreation Center now has a freshly dug basement. Check back for more updates on our progress. 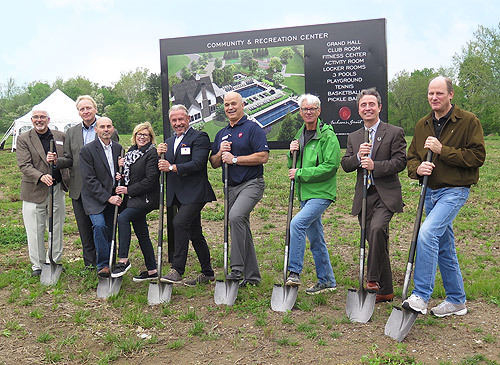 The Jackson’s Grant Community & Recreation Center ground breaking was held on May 11th and featured all of our preferred builders, Community & Recreation Center designer Gary Nance, and community tours by trolley. 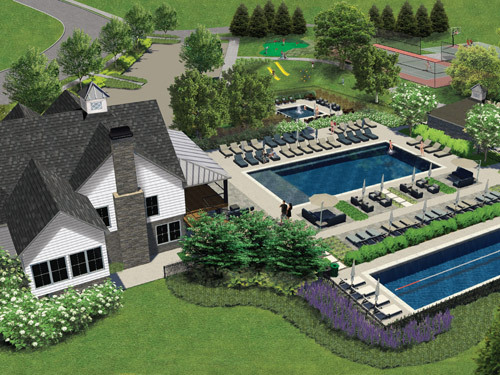 The Jackson’s Grant Community & Recreation Center will be a community focal point, centrally located and easily accessed by the walking/biking trails or a short drive. 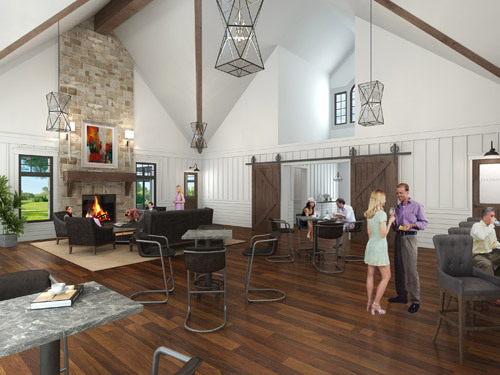 The Community & Recreation Center will feature a Grand Room with fireplace, bar and warming kitchen, which opens to an expansive deck overlooking beautiful Williams Creek Nature Preserve and the Aquatics Center. 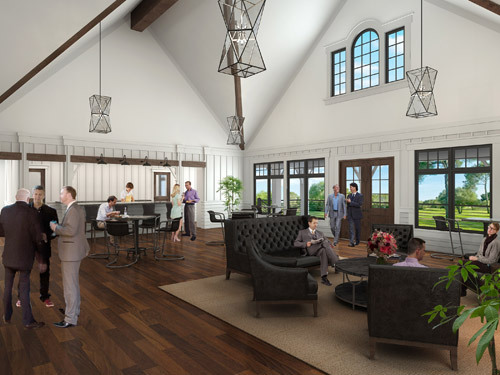 The Clubhouse will include: Club Room for more intimate gatherings, Weight Room, Cardio Room and Full Appointed Locker Rooms for fitness activities. 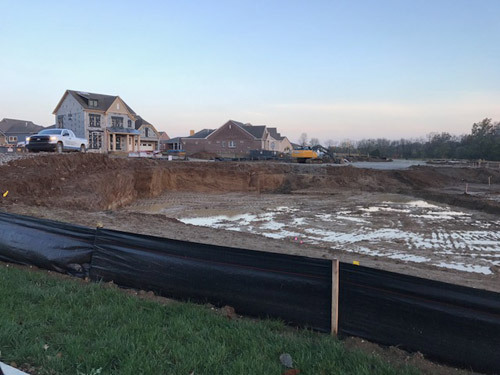 The aquatics center will include: 3 Outdoor Swimming Pools and Sundecks, and an Outdoor Fire Pit along with nearby Tennis Court, Basketball and Pickle Ball Court and Playground. Construction will begin summer 2017 for completion in summer 2018.